Exciting news for Google Play Store’s clients! Coming on the end of 2018, Google will launch for Google Play Best of 2018 Awards . 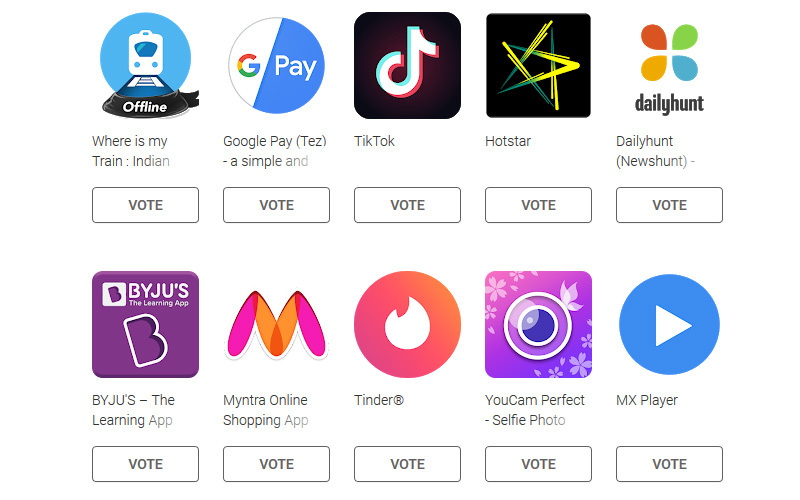 This will be the first time when Google is allowing Android users to cast our vote and choose the best apps and games. There will be around 20 apps in each category i.e. User’s Choice App of 2018 and User’s Choice Game of 2018. The list will be described as the current apps and games of the year. The selection will be bounded, but for Google Play Store’s clients will not be difficult to choose. So, if you are interested, you can just log in to your Google account and cast your vote on Google Play Store, as the counting has begun until the next 2 weeks. And for the winners of each category will be announced on December 3. Well, for all Google Play Store’s clients, get yourself ready for this exciting news from Google Play Best of 2018 Awards!